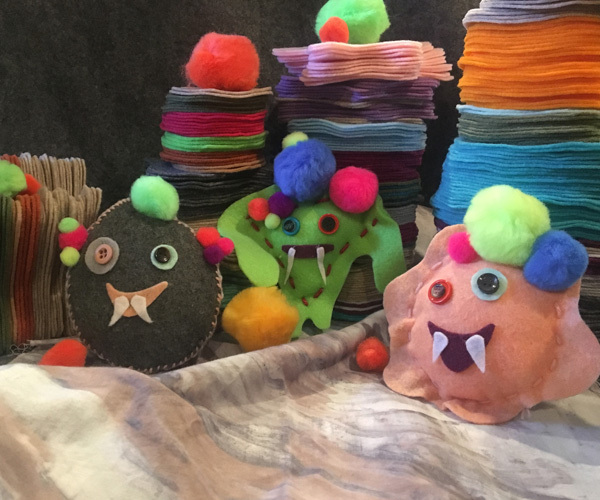 Choose from a number of pre-sewn monster bodies and stuff them full of repurposed stuffing. Then, you can add buttons for eyes, mouths, teeth, and pom-poms all over to make them uniquely yours. Take home a little monster book to make your monster become part of the story. All ages are welcome; all materials are provided; and no prior experience is necessary.